Stabile S.p.A., a company operating throughout Italy and in 28 Countries all over the world in the production and in the distribution of flue gas systems, presents its new logo, featuring three circular elements with a pyramid structure. A change of image and identity with high added value, as it is linked to the recent company’s entry into the M&G Group, world leader in flue gas and ventilation solutions. 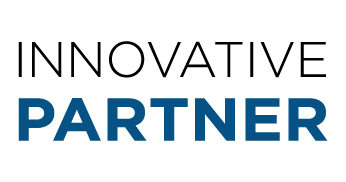 With an innovative graphic design, accompanied by the slogan “Innovative Partner”, the company enters a new phase of growth and evolution that will further strengthen the values of quality, innovation and efficiency that in 40 years have led it to be the trading partner of thousands of Italian and foreign customers. Copyright © 2018 Stabile S.p.A. The present version of Stabile “Progetto Camino” can be freely used for 28 days. After such period, you will need to apply for the activation code by sending your machine code, that will appear when launching the software, to the e-mail address progettocamino@stabile.it. The new license will last for one year, after which you will need to apply for a new code. Such procedures allow us to keep you constantly updated on the technical changes in terms of standards and product. La présente version de Stabile “Progetto Camino” pourra être utilisé librement pour 28 jours. Terminé ce délai, sera nécessaire demander à l’adresse mail progettocamino@stabile.it le code d’activation du produit, envoyant le code que sortira à l’ouverture du software. La nouvelle License aura la durée d’un an ; terminé ce délai sera nécessaire demander un nouveau code d’accès. Ce système vous aide à rester à jour sur toutes les nouveautés techniques et normatives des produits. La presente versione di Stabile “Progetto Camino” potrà essere utilizzata liberamente per 28 giorni. Scaduto tale termine, sarà necessario richiedere alla mail progettocamino@stabile.it il codice di attivazione prodotto inviando il codice macchina (che apparirà all’avvio del software). La nuova licenza avrà la durata di un anno, al termine del quale sarà necessario richiedere un nuovo codice. Tali procedure ci consentono di tenervi costantemente aggiornati sulle variazioni tecnico – normative e di prodotto.